While we often associate cornfields or the sprawling metropolis of Chicago with the prairie state, beaches in Illinois are plentiful. The state’s hot and humid summers are perfect for beach goers. Illinois is one of eight American states bordering the Great Lakes. Its northeastern tip lies along Lake Michigan. 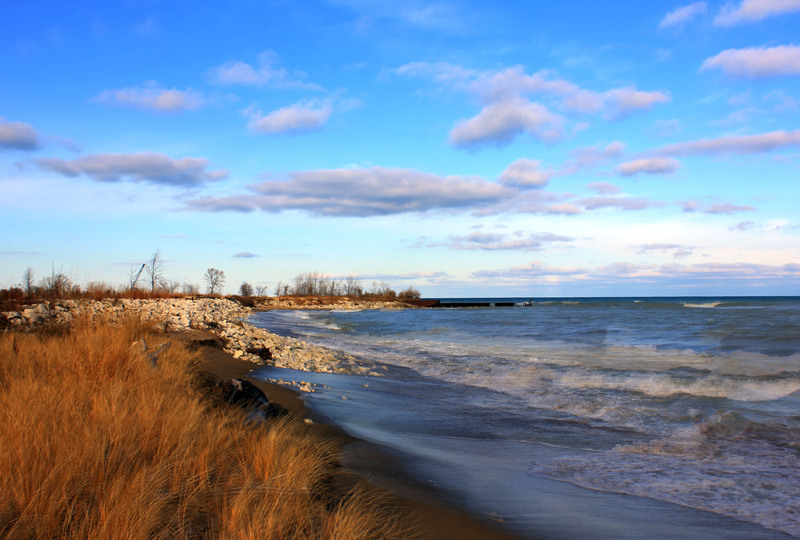 There are many city beaches along the shores of Lake Michigan, including Illinois Beach State Park. Visitors can find many places to swim along its six miles of sand and gravel beach. There are also plenty of opportunities for boating, canoeing, fishing, and rowing. Lake Michigan can make for a chilly dip in early summer. Don’t worry though; water temperatures rise in August during the state’s warm summers. Smaller inland beaches in Illinois also provide opportunity for recreation. Unlike other states in the Midwest, many of Illinois’ inland lakes are manmade, but swimmable nonetheless. You’ll find mostly sandy beaches in Illinois. Chicago is the capital and largest city of Illinois and lies along the shores of Lake Michigan. The Chicago Park District controls the string of city beaches which are all accessible to the public. Montrose beach is the largest, and is a mile long sandy beach that is perfect for swimming and kayaking yet has all the amenities of an urban beach. Just over an hour away, you can swim in many warm inland lakes. In the north, you’ll also find Chain O’Lakes State Park. As the name implies, this “chain” of natural and man-made lakes is a popular destination in the summer for both swimmers and recreational water users. The Mississippi River, snaking its way through Illinois, offers opportunities for boating and fishing. Sandy beaches, small islands, bluffs, and forests along its route offer spectacular views. Because of the size of the river and its fast currents, swimming is usually not recommended in the main channel.